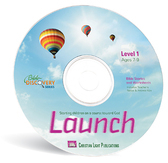 Bible Discovery Series is designed to be used in ministry settings where children know little about God and the Bible. Three levels are planned for this series. The first two levels are available. There is no projected release date for the third level. 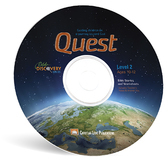 Launch (Level 1) and Quest (Level 2) each consist of fifty lessons. 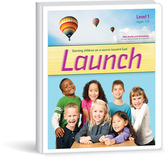 Each lesson has a Bible story, a Bible verse, and two worksheets. The Bible stories are told in easy-to-understand language, and can be read or told to students. Stories from both the Old and New Testaments are included. The exercises in the worksheets are intended to be teacher-directed. Rather than being academic exercises, these worksheets give teachers opportunities to teach and interact with students. The brief teacher’s notes includes ideas for object lessons, discussion questions, and answers to the worksheet exercises. While the lessons stand alone and do not assume the student has previous Bible knowledge, the role of the teacher is vital in using this curriculum to effectively teach Bible truths and reach children’s hearts for God. 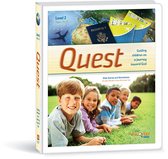 Launch and Quest are available as three-ring binders or in digital format as a PDF on a CD. All materials are reproducible within your ministry for use in reaching children for God. We are continuing to develop the third level in the Bible Discovery Series.